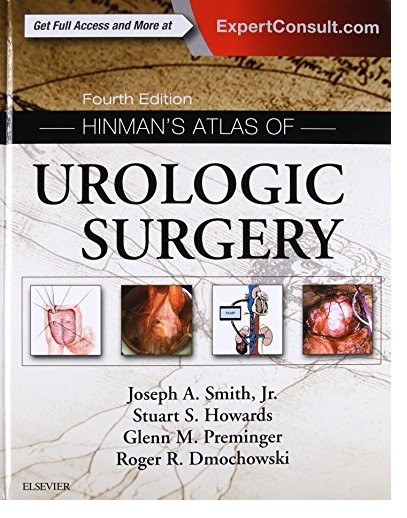 Depend on Hinman’s for up-to-date, authoritative guidance covering the entire scope of urologic surgery. 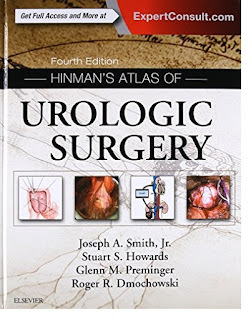 Regarded as the most authoritative surgical atlas in the field, Hinman's Atlas of Urologic Surgery, 4th Edition, by Drs. Joseph A. Smith, Jr., Stuart S. Howards, Glenn M. Preminger, and Roger R. Dmochowski, provides highly illustrated, step-by-step guidance on minimally invasive and open surgical procedures, new surgical systems and equipment, and laparoscopic and robotic techniques. New chapters keep you up to date, and all-new commentaries provide additional insight from expert surgeons. Provides access to procedural videos online, including Percutaneous Renal Cryotherapy, Greenlight Photovaporization of the Prostate, Holmium Laser Enucleation of the Prostate, Cryoablation of a Renal Tumor, and Sling Procedures in Women. Expert Consult™ eBook version included with purchase. This enhanced eBook experience allows you to search all of the text, figures, videos, and references from the book on a variety of devices. Features 10 new chapters, including Radical Cystectomy in the Male, Robotic Urinary Diversion, Laparoscopic and Robotic Simple Prostatectomy, Transrectal Ultrasound-Directed Prostate Biopsy, Transperineal Prostate Biopsy, Prostate Biopsy with MRI Fusion, Focal Therapies in the Treatment of Prostate Cancer, Brachy Therapy, Male Urethral Sling, and Botox Injection for Urologic Conditions. Includes new commentaries in every chapter from today’s leading urologists. Offers a step-by-step incremental approach, highlighted by new illustrations, photos, and images. Keeps you current with significant revisions to all female sling chapters, urethroplasty chapters, and more. Helps you find what you need quickly with a clear, easy-to-use format – now reorganized to make navigation even easier.